I’m really in a Halloween mood, even though I have to stay in today to catch up on some work. So no dressing up and trick or treating for me this year (to be fair, I’ve never really celebrated Halloween before, so it’s not as if I’m missing out this year, cause normally I wouldn’t do anything anyway). Despite that though, I couldn’t resist thinking of costumes and wondering what I could put together if I had to do something last minute. So here’s my short list of last minute outfits (most of these are somewhat based by clothes I own, and which I could pull off last minute if I wanted to). 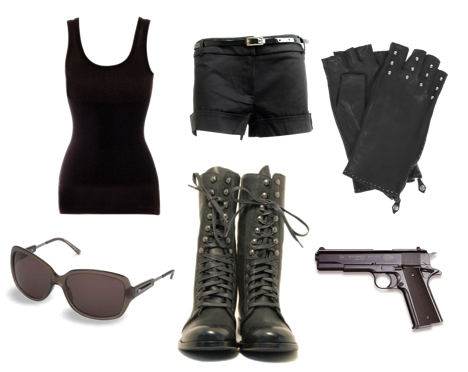 An obvious place for me to start, especially after I got the remark last summer that I was in full-on Tomb Raider style. All you need is a simple black or brown pair of shorts, plus a black or brown tank top (although white and teal are also possible depending on which game/movie you take). Add a pair of sun glasses, boots and your outfit is complete. For extra effect, add a fake gun, gloves, and a little back pack. How simple can you make it? The dolls when in the Dollhouse walk around in what are basically pajamas. 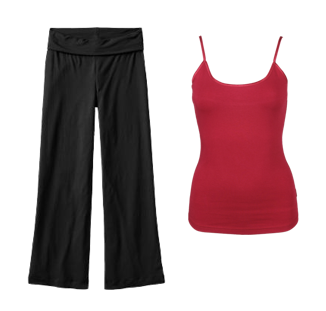 Loose fitting pants and a simple tank top… tada! You’re done. Now just walk around with a vacant look on your face. I’m not even sure most people will get this, but I used to love Dark Angel (until it got cancelled… by Fox… of course). 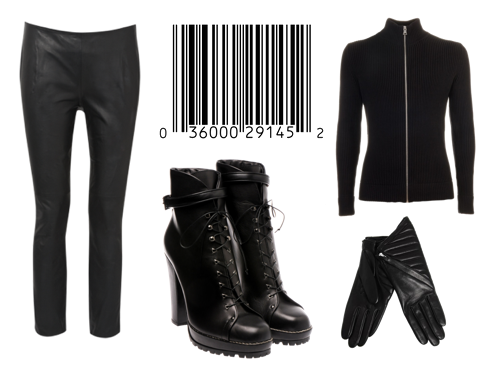 Max had a lot of different type of outfits on Dark Angel, but half of the time it was leather pants (or trousers or whatever you call it here in the UK) plus a neck high zipped jacket. Don’t forget to add the barcode to the back of your neck! You might have seen my tweets yesterday when I realized I could use my bridesmaid dress as the basis for a steampunk costum. This is the dress I got, but anything brown and kind of long and flowy should work for this. 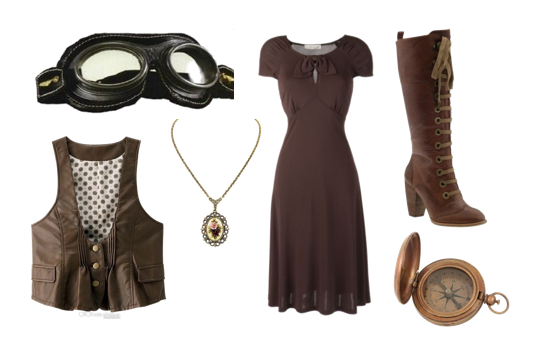 There are a lot of ways you can go about putting this look together (there aren’t any real steampunk costume rules, I assume, it just has to be a bit victorian inspired). I’d try adding a leather vest or corset over the dress, or if you can find it a white high collared old fashioned shirt with ruffles. Add extra props like goggles or a parasol. Again a tricky one, cause there are so many possibilities. Chuck on Pushing Daisies always had very colourfol combos on, and the main thing you have to bear in mind is to keep it as vibrant as possible. 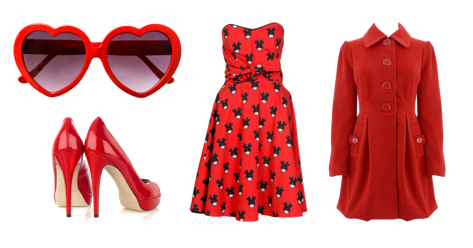 Most of the time she’d layer clothes in the same colour; for example, a bright red dress plus a bright red coat (although any colour would do). Most of the dresses were 50s inspired (although it depended per week). Add sun glasses and a head shawl to complete the outfit. It’s not really a ‘geeky’ outfit, but I thought I add it anyway. To create the Elle Wood look, just take anything pink! Oh, and you have to be blonde (or get a wig). Extra points if you can arrange a chihuahua.